Patron (2009: 6) defines Integrated Skills in English (ISE) examinations assess all four language skills reading, writing, speaking and listening interacting with each other as they do in the real world. Matthews, A. et al. (1985: 72-74) The integration of skills can be defined as the combination of two or more skills within a communicative task by integrating skills we make classroom work closer to real life, where more often than not we integrate more than one skill. Archibald. J (2008: 7) Integrated instruction was deemed more effective than language learning in isolation because, when integrated with content, language is used for authentic communication. In these content-based language classes there are rich opportunities for language practice in an activity-centered environment with increased attention to language forms. Cole B. Et al (2007: 14) defines further seven sections in integrated skill dealing with speaking and listening. 1. Identifying learners’ skills contains a self-assessment activity that raises awareness of what’s involved in speaking and listening. It identiﬁ es the learner’s current skills and areas they may want to develop. 2. Sensitivity to others focuses on the importance of empathy, trust and respect in all oral communication. 3. Speaking with individuals covers aspects of one-to-one communication including asking questions, receiving visitors at work and non-verbal communication. 4. Listening focuses on the important skill of listening actively. 5. Speaking in a group looks in detail at how to take part in meetings and discussions effectively. 6. Talking to a group aims to help develop learners’ conﬁdence and abilities in giving a short talk or presentation. 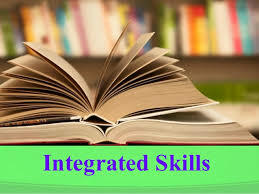 Belum ada tanggapan untuk "LISTENING SKILL THROUGH INTEGRATED SKILL"